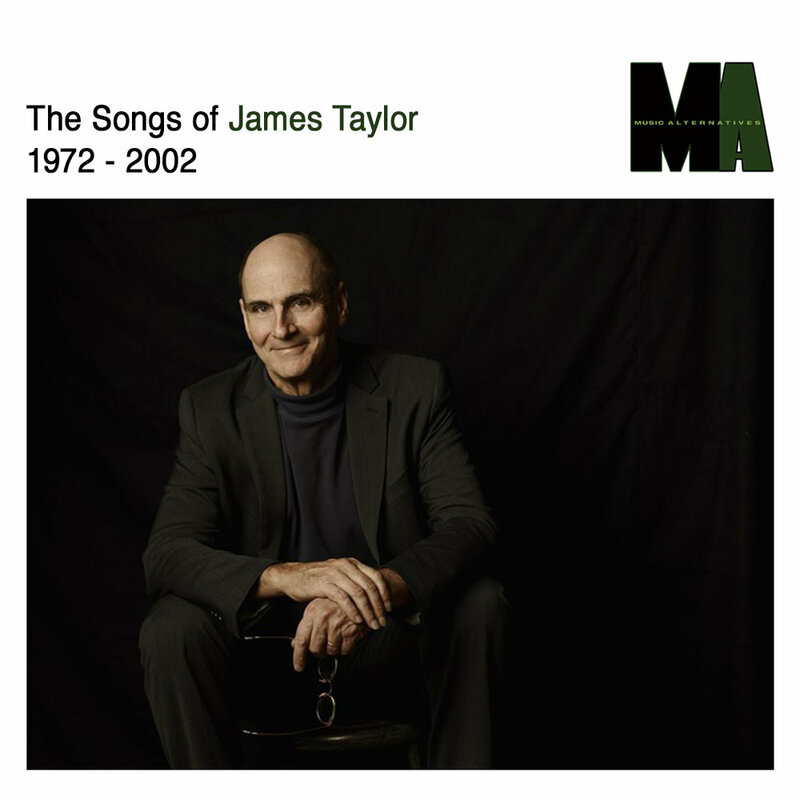 James Taylor’s music embodies the art of songwriting in its most personal and universal forms. He is a master at describing specific, even autobiographical situations in a way that resonates with people everywhere. For more than forty years Taylor has been a compass for his fans, articulating moments of pain and joy, and letting his listeners know that they are not alone. As a recording and touring artist, Taylor has set a precedent to which countless young musicians have aspired. His warm baritone is among the most recognized voices in popular music and his distinctive style of guitar-playing has been enormously influential. He has sold over 100 million albums throughout his career, beginning in 1968 when he was signed to The Beatles’ Apple Records. In 1971, Taylor was featured on the cover of Time magazine, heralded as the harbinger of the singer-songwriter era. His voice has been a constant in a changing world for his first generation of fans and their children. Taylor’s songs have had a profound influence on songwriters and music lovers from all walks of life: “Fire and Rain,” “Country Road,” “Something in the Way She Moves,” “Mexico,” “Shower the People,” “Your Smiling Face,” “Carolina In My Mind,” “Sweet Baby James,” “Don’t Let Me Be Lonely Tonight,” “You Can Close Your Eyes,” “Walking Man,” “Never Die Young,” “Shed a Little Light,” “Copperline,” “Enough to be On Your Way,” “Caroline I See You,” and many more. He has earned 40 gold, platinum, and multi-platinum awards and five Grammy Awards for a catalog that runs from James Taylor (1968) and Sweet Baby James(1970) to Hourglass (1997) andOctober Road (2002). His first Greatest Hits album earned the Recording Industry Association of America’s elite Diamond Award, given for sales in excess of 10 million units in the United States. For his artistic accomplishments, Taylor was honored with the 1998 Century Award, Billboard magazine’s highest accolade, bestowed for distinguished creative achievement. Taylor released his breakthrough album Sweet Baby James in 1970. It went triple-platinum and spawned his first top 10 hit, the intensely personal “Fire and Rain.” The following year saw the release of another million-seller,Mud Slide Slim and the Blue Horizon, with the No. 1 single “You’ve Got a Friend,” written by his longtime friend Carole King. The recording won a Grammy Award in 1971 for Best Pop Male Vocal. In 1972, Taylor scored another gold album with One Man Dog, followed up in 1973 with Walking Man. The album Gorilla (1975) included two more major chart entries: “How Sweet It Is (To Be Loved By You)” and “Mexico.” Following his final Warner Brothers recording, In the Pocket, Taylor moved on to Columbia Records and released a string of critically praised and commercially successful albums: JT, his 1977 double-platinum Columbia debut; Flag (1979); Dad Loves His Work (1981); That’s Why I’m Here (1985); Never Die Young (1988); New Moon Shine (1991); the double-discLive album (1993); Hourglass (1998), garnering Taylor his first Grammy Award for Best Pop Album; and October Road (2002)—all certified platinum. The year 2000 saw Taylor’s induction into both the Rock and Roll Hall of Fame and the prestigious Songwriters Hall of Fame. The National Academy of Recording Arts and Sciences selected him as its MusiCares Person of the Year in 2006, and his One Man Band (2007) was nominated for an Emmy Award in the category of Outstanding Variety, Music, or Comedy Special. In 2008, Taylor released Covers and Other Covers that features Taylor’s full band and is his own musical interpretation of tunes from the ’50s, ’60s and ’70s. In May 2010, Taylor released the Live at the Troubadour CD/DVD of his November 2007 live performance with Carole King at the Troubadour nightclub in Los Angeles. Their subsequent Troubadour Reunion tour was one of the most successful concert tours of the decade. Most recently, Morgan Neville’s acclaimed documentary, Troubadours: The Rise of the Singer-Songwriter was nominated for the Jury Prize at the 2011 Sundance Film Festival and was broadcast on PBS as part of its prestigious American Masters series. In a career marked by artistic triumphs, the past few years for Taylor have been notable for both creative virtuosity and recognition of exceptional achievement. Although Taylor took a touring hiatus in 2013 to continue work on a new album, he added a private concert for the victim families of Newtown, CT, a memorial service for MIT Officer Sean Collier and an appearance at The One Fund benefit concert in Boston. He was also a featured performer at President Barack Obama’s inauguration ceremony in January. June 2015 will see the release of Before This World, Taylor’s new album of original material, his first in over 13 years. Taylor wrote and recorded much of Before This World while touring over the past several years. It will also be a particularly special summer for Taylor as he will be performing a full length concert with his All-Star Band for the first time ever at Fenway Park to a sold out crowd on August 6th, with guest Bonnie Raitt. Taylor will also be returning to Tanglewood on July 4th for his 24th performance since his first appearance there in 1974.